The delegation from Sun Moon University of South Korea widen its cooperation with Universitas Muhammadiyah Yogyakarta to enhance strong partnership for the future. The aim of the expansion is to open the opportunities for reciprocal cooperation in terms of Exchange of faculty and staff members, Exchange of publications and relevant academic and educational information. Further agreement will be extended on Joint research, conference, lecturers and the most important aspect of this agreement is the Exchange students from both university. This cooperation is important in order to give mutual benefits from both educational institutions and to give the chance for the students from Universitas Muhammadiyah Yogyakarta exchange to Sun Moon University of South Korea (vice versa). Furthermore, this agreement also encourage both institutions to promote academic cooperation and working together in many aspects for future development. During the visit in Universitas Muhammadiyah Yogyakarta, the delegation from Sun Moon University represented by Prof. Dr. Ismail Won Sam Lee as a Director of Sun Moon Center for Islamic Studies, Prof. Dr. Ho Tae-Hoi as a Dean of College of International Peace and Prof. Heung-Soon, Ph.D. The delegation warmly welcome by the Rector of Universitas Muhammadiyah Yogyakarta along with others academic university staffs. 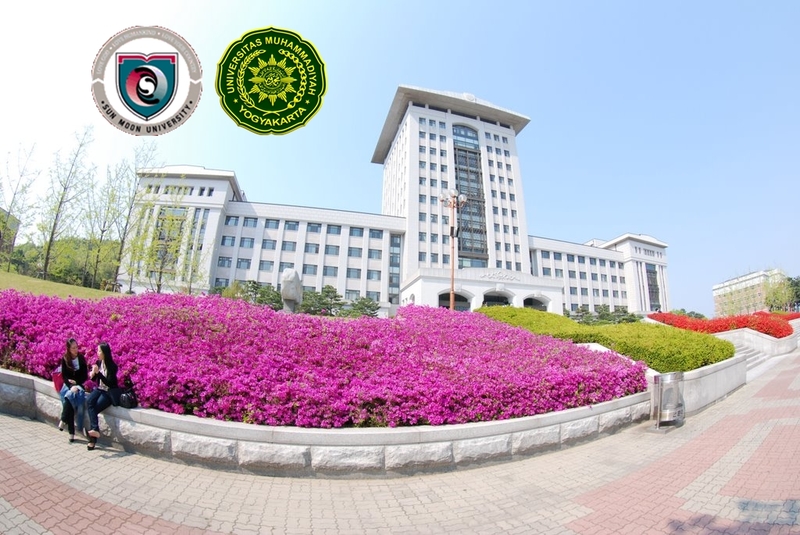 Universitas Muhammadiyah Yogyakarta congratulates for the agreement establishment and looking forward to welcome the future students from Sun Moon University of South korea.